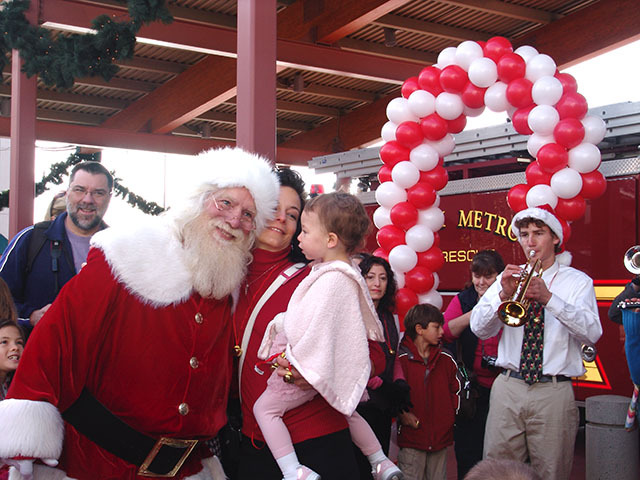 Santa is here with balloons! 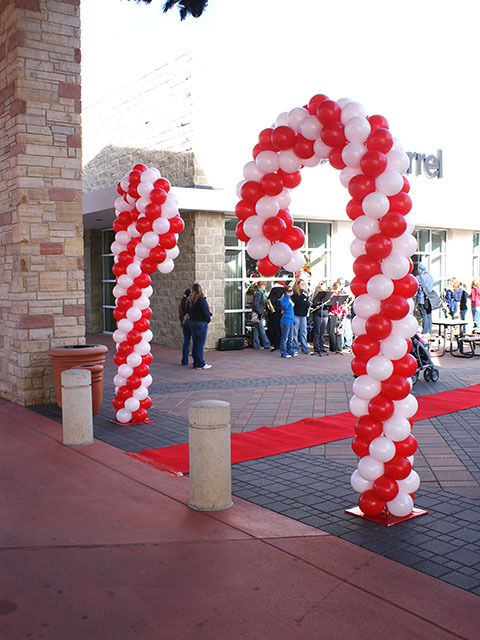 Guess who showed up at the Flatirons Mall with large candy cane balloon sculptures? 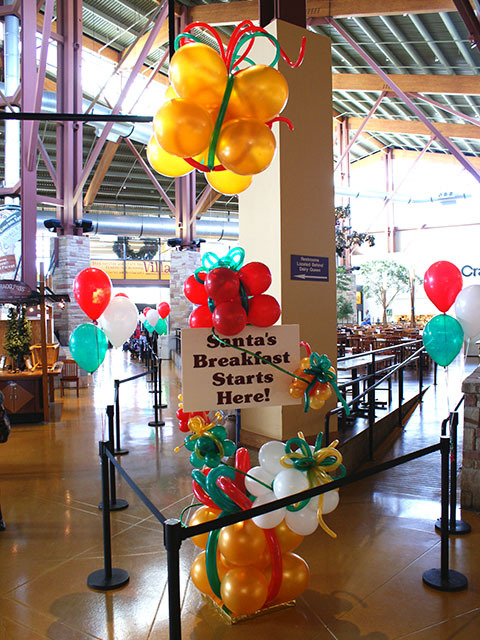 Santa loves balloons, so make sure you have them at your Christmas party this year! Santa’s almost here! 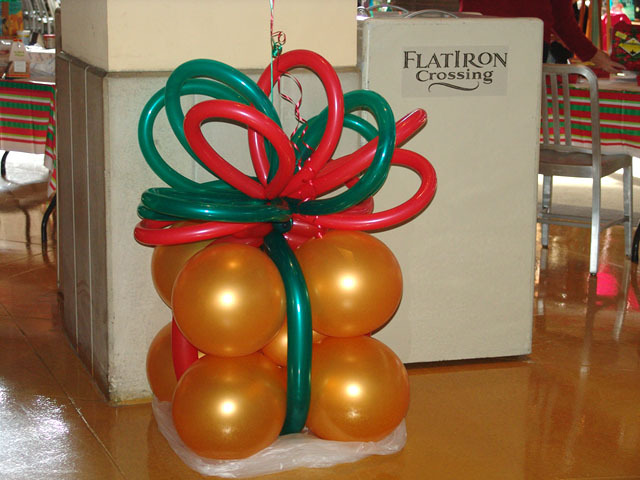 Here are a few balloon present decrations at the food court in Flat Irons Crossing Mall. Don’t let your holiday party be boring this year. Contact us for some great festive decorations! 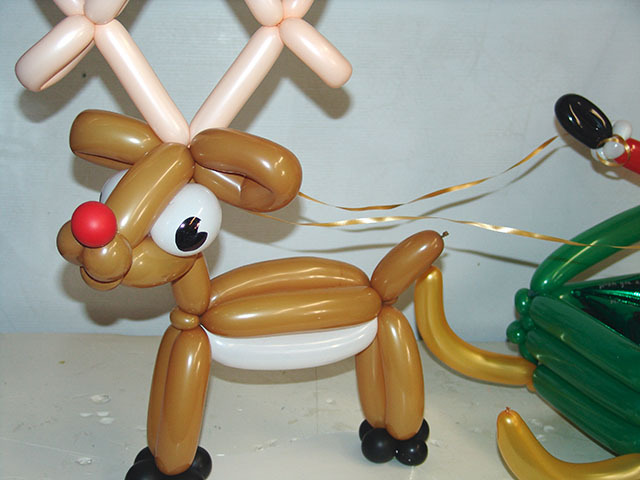 Need some christmas balloon decorations for your company party? 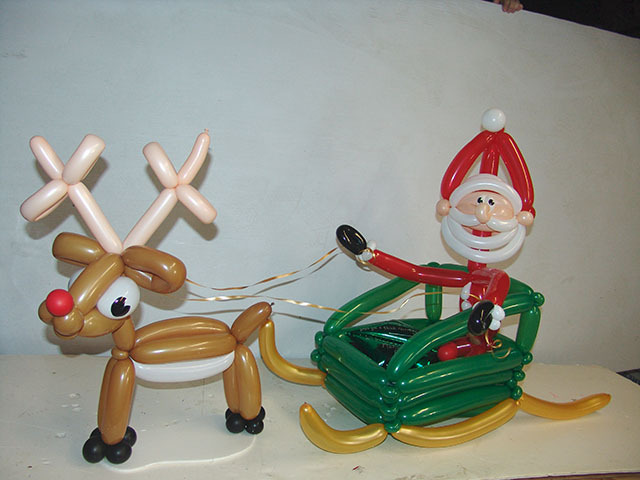 These twisted balloon sculptures add huge holiday fun. Christmas is coming and your Christmas party is too! 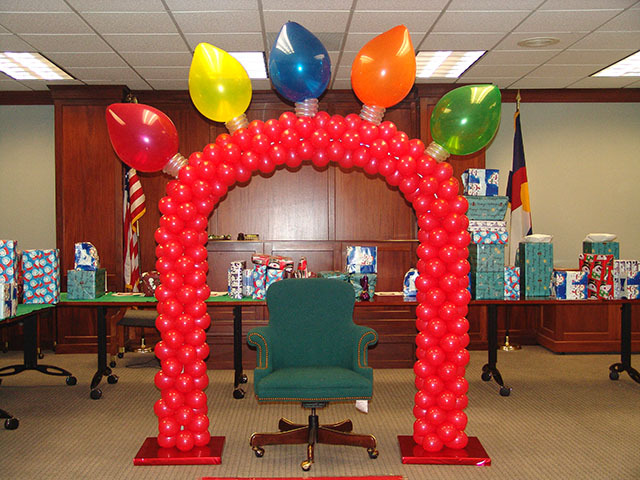 We can decorate any Christmas party, from small to large. 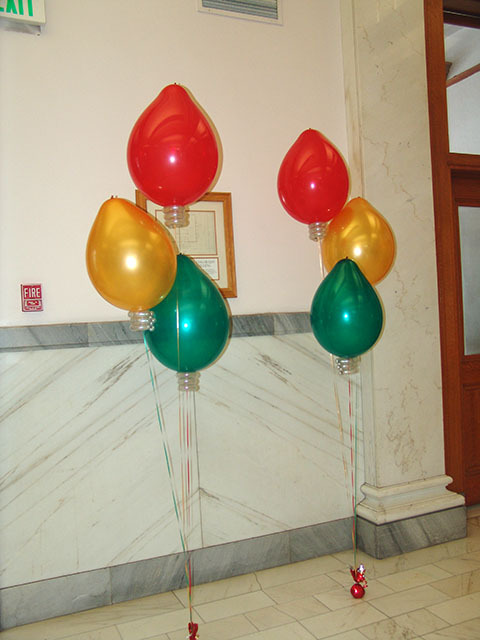 These Christmas bulb balloons are just one of many posts that we will post before the holiday, so keep checking the blog regularly!